The Innovation Series is Brought to you by Care Innovations, a joint venture between Intel Corporation and GE, committed to creating technology-based solutions that give people confidence to live independently, wherever they are. With GE’s expertise in healthcare and Intel’s expertise in technology – we’re innovating to change the way care and solutions are delivered. While Silicon Valley has become a renowned hub for some of the world’s high-tech Fortune 500 companies, Chicago has its own microcosm of burgeoning startups, accelerators and investors all focused on senior care innovation. The number of digital companies making the Windy City their mission control has grown 255% from just 38 in 2007 to 135 startups launching in 2012, according to an infographic from Built in Chicago, an online social community that tracks startup activity in the city. In 2011 alone, 193 tech companies jumped onto the scene. One of those companies finding its start that year was Caremerge, a communication and care coordination platform for senior living. 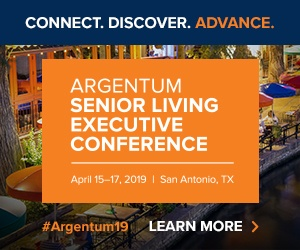 Using a set of integrated mobile and solutions, Caremerge connects nurses, doctors, senior living staff and families to facilitate timely care decisions for their loved residing in senior care communities. The company’s chief executive officer and co-founder Asif Khan, who has a nearly 13-year background in healthcare IT along with leadership roles in various GE businesses, developing the technology was personal. He came to the realization that such a communication platform was necessary for long-term care (LTC) by learning from experiences with his mother, a long-term care community resident. It wasn’t just technology that was needed, but rather integrated tech that could be embedded into staff workloads that was easy to use. After spending much of 2011 living in all kinds of senior living facilities, spending time with nurses, activities people, food service people, and other community staff, Khan realized that the challenge of coordinating care in a 100-bed facility was that staff had to support the facility’s patient population over three shifts. Within the Caremerge system, all a staff member has to do is go to a resident’s picture on a smartphone or tablet device that has the software and tag that the person has fallen. At that point, the community’s ED and the Director of Nursing are automatically paged. “They don’t have to rely on nursing aide to call them because they’re automatically notified,” says Khan. As healthcare reforms stress reductions in preventable hospital readmissions, Khan sees Caremerge fitting well into the bigger healthcare picture. Caremerge has garnered quite a bit of buzz in the last few months, winning numerous awards and accolades, the most recent of which being named one of “Chicago’s Top-10 Coolest Emerging Companies” by the Chicago Entrepreneurial Center (CEC). “The Caremerge technology is not only about sharing clinical information, but also bringing full picture of resident to the forefront and sharing that with care providers,” Khan says. The company—which has residency at 1871, Chicago’s digital workspace for the city’s innovative engineers, designers and startups—is already experiencing a demand for its software solution. So far, Caremerge already has clients in Illinois, Michigan, California, Dallas and Virginia and is still picking up customers along the way in Florida and Kentucky. While the company’s clients vary in size, Khan says the typical providers who roll out Caremerge offer independent living, assisted living, or a combination of the three. Caremerge is just one sliver of Chicago’s thriving tech scene focused on senior care innovation. Recognizing the city’s limitless entrepreneurial spirit, locally-based incubator Healthbox aims to bring its strategic partners together with early stage entrepreneurs, industry experts, and investors looking to break into healthcare innovation. “We’re finding there’s a lot of need for partners to have a platform to connect them to the healthcare industry,” says Jenna Rose, director at Healthbox. With Chicago strategic partners that include Ascension Health system, BlueCross BlueShield (BCBS) Venture Partners II, L.P., Walgreens and Sandbox Industries—which exclusively manages approximately $300 million across two venture funds for BCBS Venture Partners—the startup accelerator views the senior care space as an opportune area for investment. “Senior care is an important strategic priority for our partners, especially as they think of changing chronic conditions and curbing healthcare costs,” says Rose. Healthbox is currently in the midst of accepting applications for its second Chicago accelerator program. The program provides a broad network of mentors to offer guidance to its startup winners, as well as office space and an investment of $50,000. This pooling of resources and collaboration is more valuable than a company’s technology by itself, according to Caremerge’s Khan.